Join the discussion on our forums! 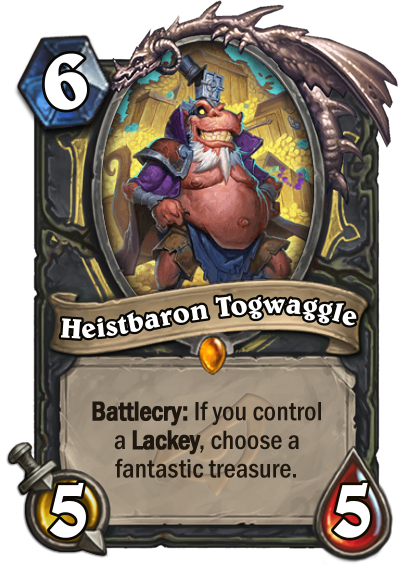 Come discuss Heistbaron Togwaggle over in our dedicated Heistbaron Togwaggle discussion topic. Battlecry: If you control a Lackey, choose a fantastic treasure. 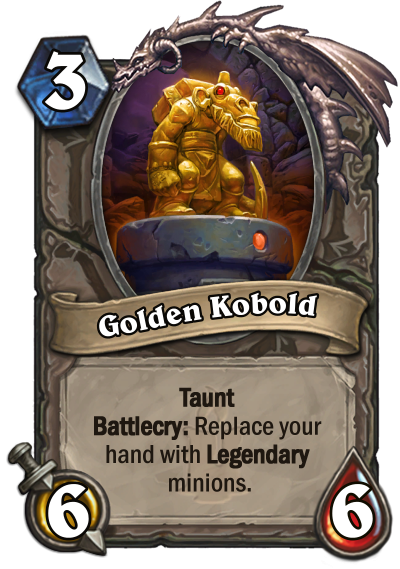 A staunch ally of Rafaam, at least while the shinies keep flowing. 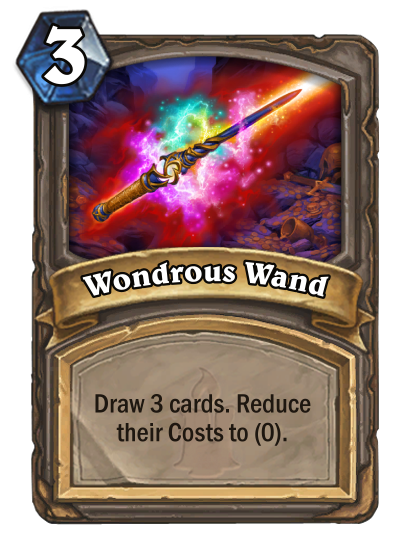 Turn 1 Togwaggle's Scheme in hand, turn 2 or 3 lackey generator, turn 7 lackey, Heistbaron Togwaggle, pick Wondrous Wand, coin, Togwaggle's Scheme onto Heistbaron Togwaggle, Preparation into Wondrous Wand, repeat, long story short, you now have six Heistbaron Togwaggles on the board, and various other cards you can instantly play for free. How good is Heistbaron Togwaggle so far? is it just a meme card or a powerful Legendary? Really want to craft him, I was gutted I did not get him while opening my packs. From what I've seen, this card fucks. I'm seriously considering crafting it, too. This card is insane right now. With all the rogue tools we've got, it's really easy to save a lackey until turn 7 and from then on you just win the game. Yeah, it's early to say that a card is "meta", but so far I managed to do some pretty sick things with that card. This is so broken. I won every game i played this turn 6/7 with prep summon 2 legendaries. This cards gonna be hated a lot. I love it. Pretty sweet golden value. Which will you choose? Mostly Wand or Crown for the tempo. 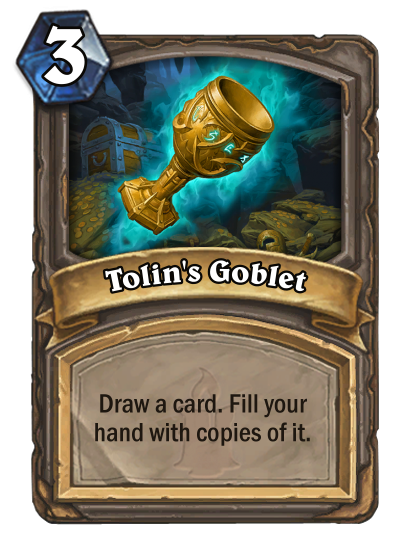 The only reason I voted meta-defining on this card is because Rogue is capable of summoning this Battlecry over and over again. That is insane. Marin the Fox: I can summon a treasure chest that grants you a blatantly busted glorious gift upon its destruction! Togwaggle 2.0: Hold my lackey. Ehhh, why is it rated Meta defining? Am I missing smth? I hope this will see more play than Marin the Fox. 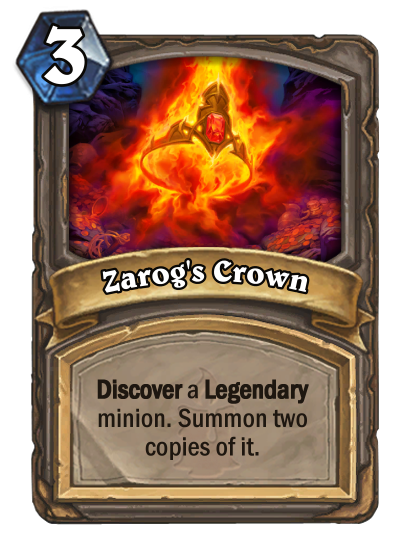 And hope Zarog's Crown will allow to discover Wild minions as it’s initially a Wild card. I don't want to draw Malygos fo free, and think my oppent don't want it too. So why ? second question why this card use same cards from another legendary. U have lackeys for every class, mb that's enough to do the same job? So Malygos fo free is good ? give some comments, don't hide behind the curtains. The fact that you get to choose treasure makes this bonkers.